Jobseekers who are new immigrants to Israel face a twofold challenge, and to make their task even harder they often lack a local network of other professionals like them. This can leave them at a distinct disadvantage in hearing of a job opening or getting a CV noticed by HR personnel who sift through thousands of applications. What to say at an interview and how to present oneself to an Israeli employer are also great unknowns. The nonprofit organization Gvahim, a subsidiary of the Rashi Foundation, has set up a number of mentoring programs that aim to help new immigrants realize their career goals in Israel. The programs teach them how to repackage themselves and their skills for the local market and how to write a compelling CV, and puts them in touch with key individuals in their industry. Gvahim “won’t leave you until you find a proper job,” said Juan Taifeld, the CEO, who immigrated to Israel from Mexico in 1991. “Ninety-one percent of the Gvahim alumni get proper jobs that suit their skills within a year” of leaving one of the programs, he told Times of Israel. On Monday, graduates of Gvahim’s TheNest initiative, an accelerator program for new immigrants who want to set up a small business, proudly presented their newly formed companies at a ceremony in Tel Aviv. The program is targeted to entrepreneurs who want to open their own business in a wide variety of fields. 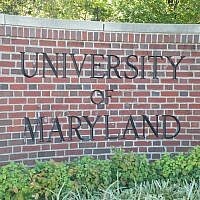 The program is a 10-week incubator “to give them the tools to develop their own business,” said Taifeld on the sidelines of the event. Tori Blake, who immigrated from Washington, DC, two years ago, presented her company Tori Bakes, which makes gluten-free products and pastries. “I’m very passionate about food,” said Blake. But two years into her career as a chef she realized she had celiac disease and was not allowed to eat products that contained gluten. She was “devastated,” she said, by the quality of the gluten free food she found on the shelves, and she knew she had to do something. 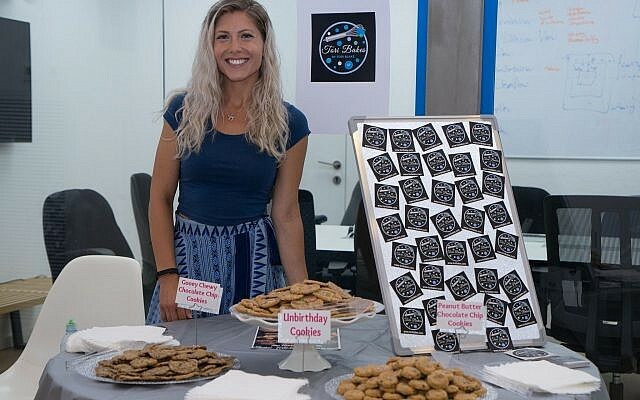 Her gluten-free pastries, available for the audience to taste, included peanut butter chocolate chip cookies and chewy chocolate chip cookies. Joining TheNest program gave her an opportunity to network. “There are so many people out there to want to help,” she said. Gvahim helped her make connections and meet mentors who gave of their time and knowledge. “You just need to find the right people,” she said. Melodie Grumberg immigrated to Israel seven months ago from Paris. Today she is a photographer for small weddings. “I learned how to develop my business and got networking tools” from the program, she said. It also helped her better define her market and who her clients should be. Her company is called The Happy Lovers. Paris-born Natalie Seeff immigrated to Israel nine years ago from the UK. She was working as a lawyer until recently, but set up her new business, Natflat Supper Club, a few months ago, hosting tourists and business visitors at her home in Tel Aviv for group dinners of up to 15 people. Whatever is left over, she said, she donates to the homeless. 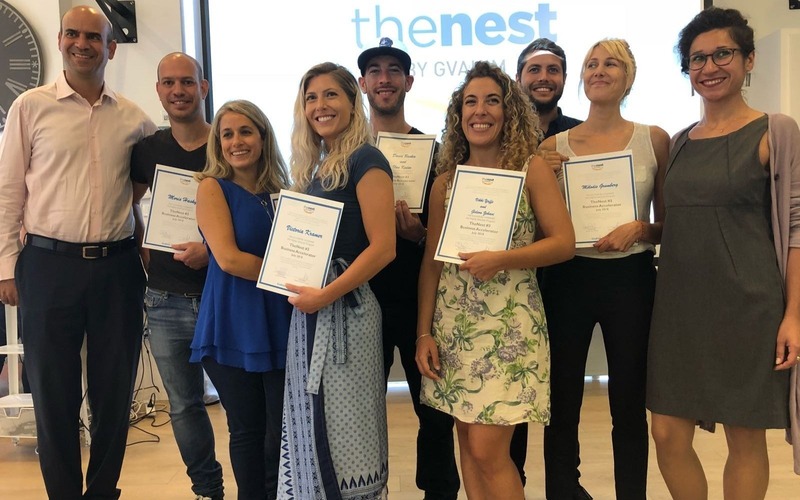 TheNest program, which has been running for three years, chooses up to 10 new initiatives for its incubators, which it runs twice a year. The next session of TheNest will be in April, said Taifeld. 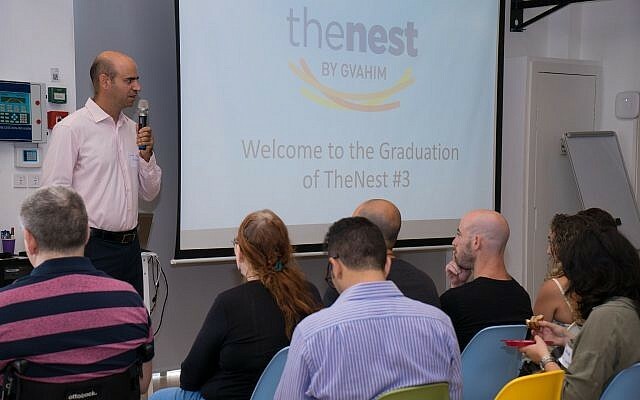 Gvahim was established by the Rashi Foundation 12 years ago and operates several programs including its flagship Career Program, which provides immigrant workshops, personal counseling and guidance by mentors from their field; TheHive: a startup accelerator for entrepreneurs; “Tech Heights,” which offers job opportunities for software engineers; “Olim Medical,” which helps medical professionals from France integrate in Israel’s healthcare system; and “Aliyah Prep,” which provides future immigrants with the knowledge, tools and best practices to help them minimize the cultural and professional gap they’ll encounter in their new home.